Want to catch a March Madness game close to the office? Need a place to stop before the Pittsburgh Penguins, Pittsburgh Power or you favorite entertainment event? Damon’s now has a downtown location in the UPMC Tower (former USX Tower) in the space formerly occupied by Cafe Euro. When I thik of Damon’s I think of beer and sports. The menu offers more than that. 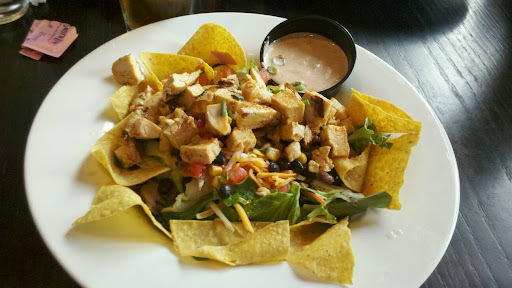 Check out this wonderful Southwest Chicken Salad that I got for lunch earlier this week!